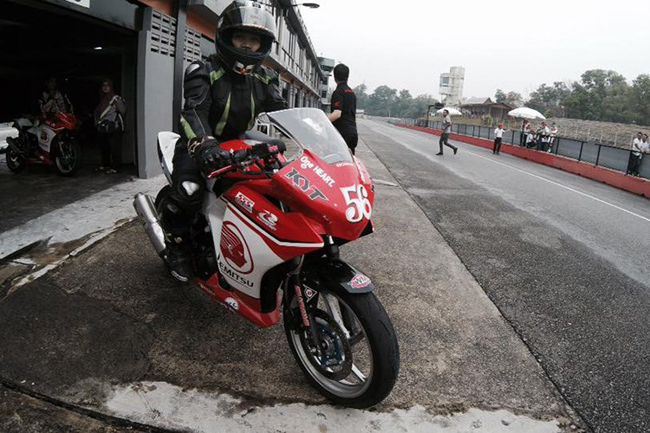 HA NOI (VNS) — Tran Thi Doan Trang became the first female Vietnamese motorcyclist to be invited to participate in the selection process for the Shell Asian Talent Cup 2016 in Malaysia. Trang, known as Susan Tran, is one of two Vietnamese representatives. The other is Nguyen Nhat Thanh, a male motorcyclist. The 126 young hopefuls are aged between 13 and 20 and come from a variety of Asian countries, as well as Australia and New Zealand. They were shortlisted over the past few weeks from among more than 500 applicants. These candidates will now be asked to demonstrate their riding skills on Honda motorbikes at a two-day test event at the Sepang Circuit on October 20-21, just before the 2015 Shell Malaysian Motorcycle Grand Prix, taking their first step towards turning their potential into performance. Following the selection event, the committee will meet once again to finalise the list of 22 riders who will take part in the 2016 edition of the Shell Asian Talent Cup.